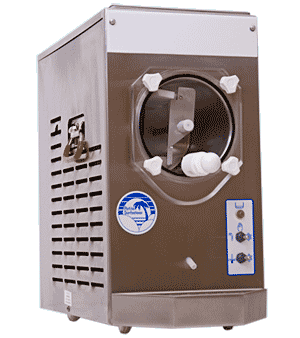 Family-owned & operated , Equipment Masters was established in 2008 with its foundations stretching back to 1995 when Robert Little, Founder of Equipment Masters, began servicing frozen drink machines for Jus-Made LP. 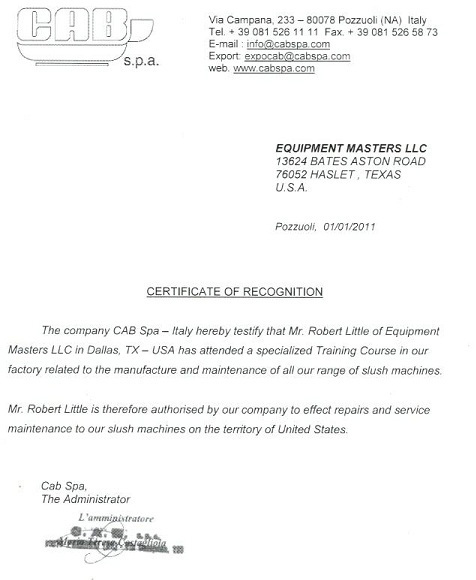 Once establishing and operating the entire service department flawlessly, Robert was contacted in 1999 by Faby to travel to Italy to help CABSPA / Faby implement some custom changes that are still currently used! 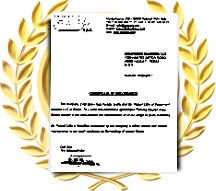 Upon completion, CABSPA awarded Robert with a certificate of recognition. He is the ONLY person to posses anything like this in the entire US! Since then, Robert is considered one of the most valuable assets to Faby/Cabspa and has been responsible for setting the standards for the service industry today. Equipment Masters is open Monday through Friday 8am to 5pm, but we often check our phone lines afterhours and throughout weekends.